A swath of Xbox One accessories has appeared on the Microsoft Store and to the surprise of none, the add-ons are universally expensive. The Xbox One debuts this November with a price tag of $500. As many angry gamers have pointed out, this is a full $100 more expensive than Sony's PlayStation 4. In keeping with this trend, Microsoft has revealed pricing information for a number of its Xbox One peripherals, and they too feature relatively large price points. There are currently only five Xbox One items on the Microsoft Store: A smattering of controller options, a headset and a one-year Xbox Live Gold subscription card. The card is priced at $60, which is relatively reasonable price for that item. 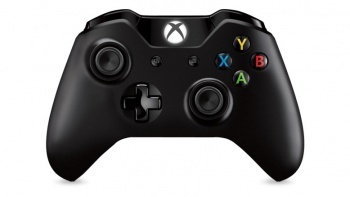 That $60 price point however, is also attached to the Xbox One's standard controller. Of course, you'll also have to factor in the cost of replacement batteries for that $60 controller, as it's not one of those convenient rechargeable devices. If you'd like to add a rechargeable battery pack to the controller, you have two options: Either buy the kit by itself for $25 and add it to your extant $60 controller, or save a bit of money and buy all of these items bundled together in a single $75 pack. What if you'd like to converse with friends while playing online games, or (more likely) spend hours dropping every homophobic, racist slur you can think of at whichever jerk just shot you from the opposite side of the map? You'd need a headset, right? Microsoft has you covered on that front, assuming you're willing to fork over $25 for the thing. Now that solid, monetary details are emerging on the Xbox One, what do you think? You hypothetically represent the average consumer, so your opinion is crucial here: Are these prices too high? Too low? Just right? Comments below.